VPX Meltdown is a fat-burning weight loss supplement that gives, The Euphoria of 40,000 Chocolate Bars that removes fat like a Blow Torch! (VPX website). While VPX does make some very bold claims, they do back up these claims. Because the ingredients were specifically engineered for this supplement, the biggest question is what the long term effects of this supplement might be. 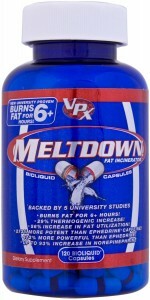 What makes VPX Meltdown different from other fat-burners? Take a look at the VPX website and you will realize the manufacturer is very passionate about this product. 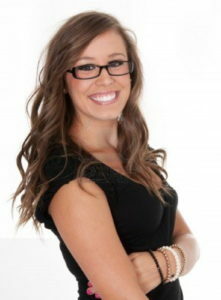 They have done extensive research and testing to create the ingredients used in this supplement. 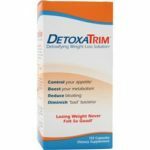 They claim to have amazing results with their superior ingredients, far surpassing the simple ingredients used in other fat-burning supplements. This sounds impressive, but they do not give actual research findings on the website (there are no specific numbers listed). As explained earlier, many of the ingredients contained in VPX Meltdown were supposedly specifically engineered for this specific product. These ingredients are found in many other weight loss supplements, but in other forms. I mean seriously folks, Potentiator? I get the feeling VPX Meltdowns creators just sat around with a dictionary and combined their favorite syllables. Theyre targeting the ignorant here for sure. Theyve basically made up these compound names as just another wooly ((by wooly I mean pulling the wool over your eyes)) marketing technique to appear to be something theyre not. When I first heard about the euphoria of 40,000 chocolate bars I was a little shocked. I am a choc-aholic, but the thought of the euphoria I feel from one chocolate bar multiplied by 40,000 made me cringe. I am not sure how that can be good for your system. And why would you want the euphoria of 40,000 chocolate bars? Again, they may have done their own research, but it is not available for consumers to review, and long term effects of these engineered ingredients are unknown. Yohimbine in high doses has been proven to bring side effects including dizziness, nausea, insomnia, anxiety, and increased blood pressure. 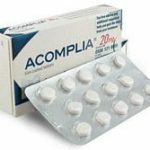 Again, we cant be sure of what the yohimbine in this supplement might bring as far as side effects. VPX Meltdown just had a breakthrough. 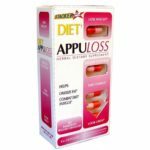 They invented a new way of leveraging the supplement facts on a diet pill to mislead consumers. Watch for other companies to follow close behind. They fail to provide consumers with the actual results of the research they have conducted, which is suspicous. Until VPX releases all the results of their studies we recommend looking for a proven weight loss supplement that doesnt prey on the ignorant. Aiming to present in-depth information on different weight loss products while trying to stay as fit as possible.Please share your experience with these products and follow me on Facebook, Pinterest and Twitter. 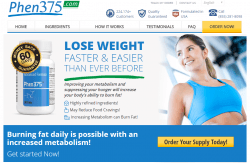 Any/all of the links on this website are affiliate links of which Miriam Wellness receives a small commission from sales of certain items, but the price is the same for you. Copyright © 2019 Miriam Wellness.